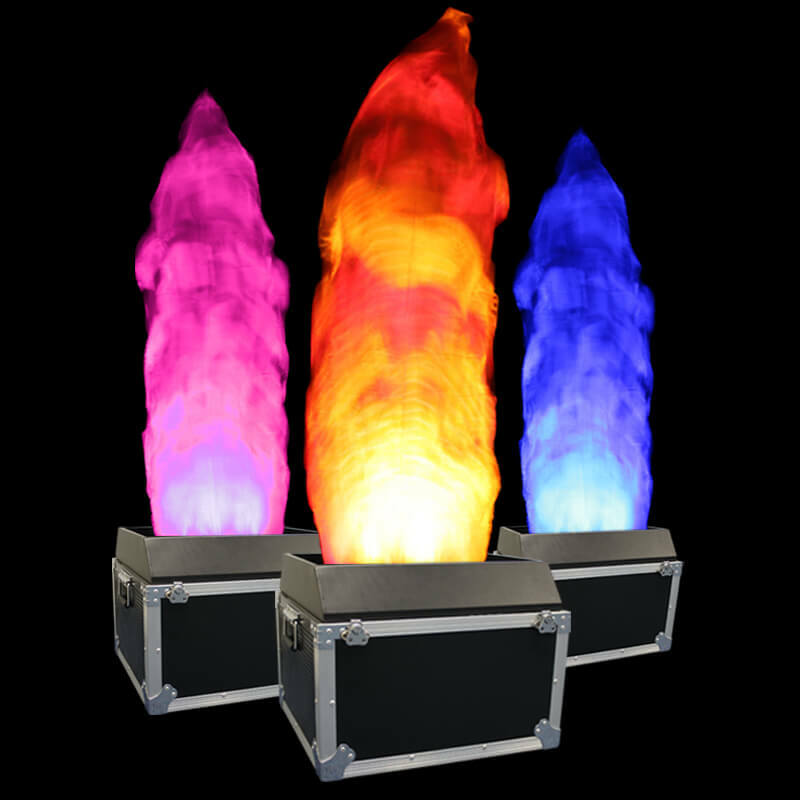 Flame LED lights are one of our most popular items in our hire stock, they are fantastic to use at store openings, nightclub entrances and even weddings! We can deliver and collect these anywhere in London, Surrey and surrounding areas. We stock the equinox RGBA (Red, Green, Blue, Amber) silk 2m flame . The colour possibilities are endless and can be controlled via the onboard screen or DMX. With the amber light this can set a more realist flame effect with the red. Our flames are LED which means they can run all night without getting hot, which makes them safe around small children. We will supply you with a 3m 13a IEC cable, and it also comes pre flight-cased with handles.